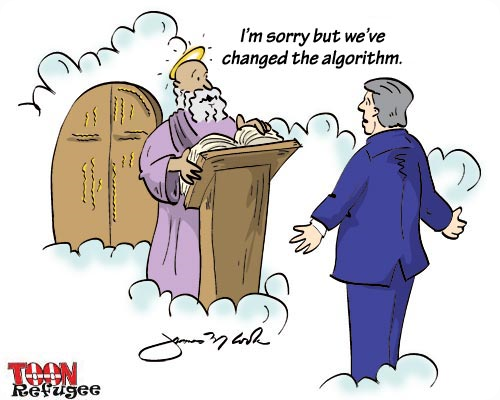 Keeping Up With Google Algorithm Updates | Thill Logistics Inc. So far I have been in the SEO industry for almost 2 years now and a lot has changed in terms of how search engines rank websites. I’ve seen a website lose all of its rankings for over 100 keywords, another gain ranking due to new updates to algorithms, and of course learning about the impact on search from Google Panda and Google Penguin updates. With so much changing daily how do you keep up with Google algorithm, and other SE algorithms, updates? Below are some thoughts that will not only help you and your website gain good standing with Google and other search engines, but also limit the worry of being targeted by future algorithm updates. Staying educated is one way to limit worry about being targeted by future algorithm updates. As most of you know, the internet allows us to learn almost anything. Whenever I need to learn something new I search Google. It has never been easier to gather and organize information online (I say organize because of the availability of online tools to organize the Internet). So you should have no problem keeping updated on new algorithm changes, SEO tactics, and industry trends. Some easy, effective ways to stay updated include subscribing to RSS feeds to receive new article posts from major blogs such as Google Webmaster Central, Search Engine Land, and so many more. Additional ways to stay updated include being interactive on social media sites and community forums, and networking with industry experts. Some of my favorite resources include attending conferences, webinars, and local meet up groups. Try meetup.com to find local community groups consisting of area experts to learn and share ideas. The primary way to limit worry about being targeted by future algorithm updates is to keep user experience in mind. Google continues to stress the importance of user experience. At the top of the list of Google’s core principles is: “Focus on the user and all else will follow.” Google currently employees people with the job title of “User Experience Professional.” Google can’t stress user experience any clearer for you, me and the rest of the world. As a user and a SEO Specialist, I completely agree with their top principle and strive to apply it to all areas of my work and you should too. When conducting your online marketing strategies, remember WHO you are doing it for. It’s not just for your employer; it’s also for the end user. Create original content that people can benefit from, that people will want to share, and provide products and services that will make peoples’ lives easier. What does this Look like From an SEO’s Perspective? Build trust and relationships with people by engaging with them on social media sites, blogs, and community forums. Practice white hat SEO tactics ONLY. Don’t take shortcuts or think you will get away with cheating the system. Google is the system and their pretty smart. Lastly, this is something I recently heard and trying to apply to my life and my work. Being welcoming is not the same as being friendly. Welcome users by being genuine. Welcome them by asking how they are doing or how you can help them. It’s one thing to give them a smile, but try coming alongside them, providing for their needs. They will remember you for doing this. I hope you found this post to be informational. Hopefully it answered some of your questions or taught you something new. It was enjoyable sharing my thoughts with you. Leave your comments, questions, or insights below. I would love to hear from you. This entry was posted in SEO and tagged Algorithm Updates, Google Algorithm, Google Panda, Google Penguin, Google+, SEO. Bookmark the permalink.